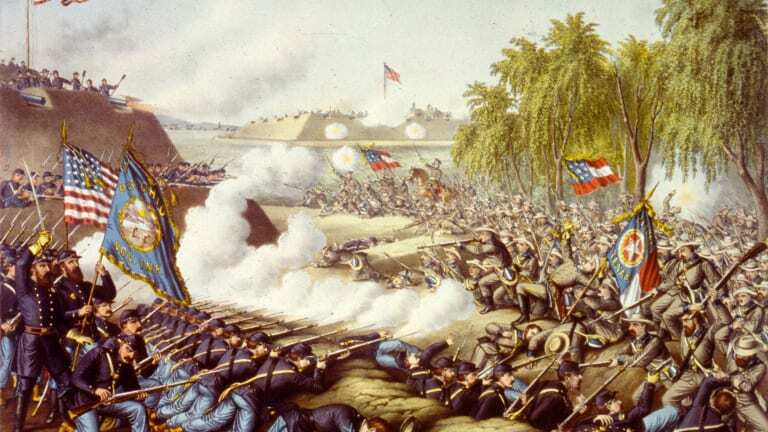 In October 1862, Union troops under Major General William Rosecrans (1819-98) defeated Confederate forces commanded by Major General Sterling Price (1809-67) and Major General Earl Van Dorn (1820-63) at the key railroad junction of Corinth, Mississippi. 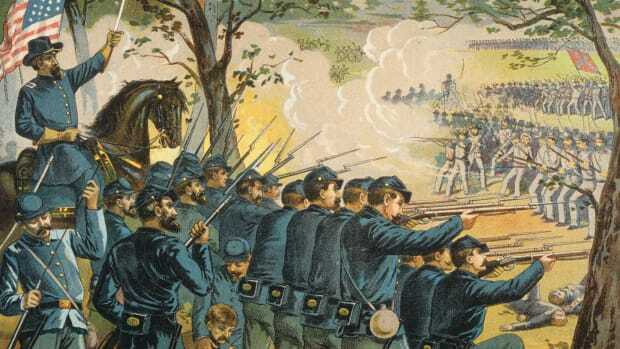 Hoping to seize Corinth and disrupt Union supply and communication lines, the Confederates attacked on the morning of October 3. 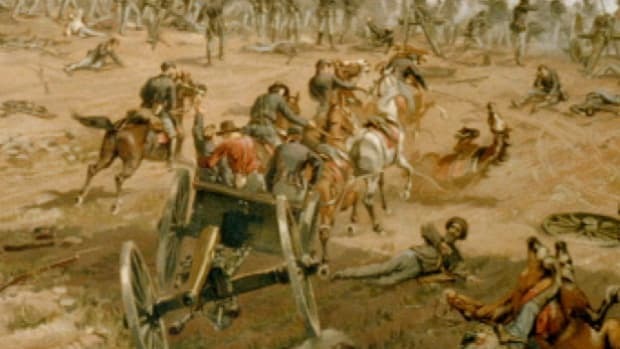 Exploiting a gap in the Union defenses, Van Dorn’s forces were able to push Rosecrans’ troops back behind their line of fortifications. However, Van Dorn’s decision to wait until the following day to press his advantage allowed Rosecransand his men to regroup. 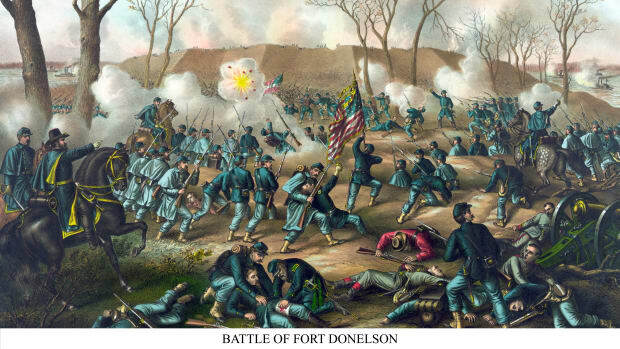 On October 4, the Union repelled the Confederate assault and after hours of fierce hand-to-hand fighting, Van Dorn ordered a retreat. Northern Mississippi was the scene of much maneuvering during the summer of 1862. The Confederates were forced to evacuate Corinth in May in the face of heavy Union pressure, but they maintained two armies in the area. 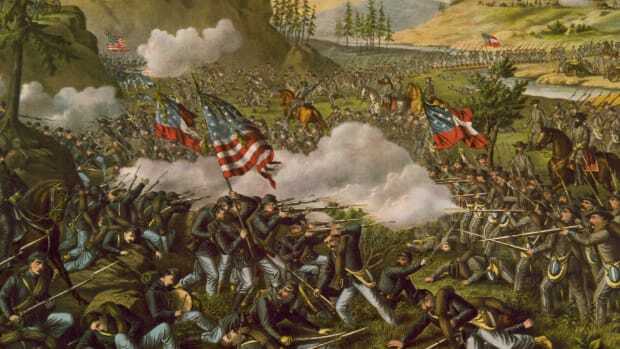 On September 19, one of these armies, commanded by Earl Van Dorn, was defeated by Union troops under William Rosecrans at the Battle of Iuka, 20 miles east of Corinth. 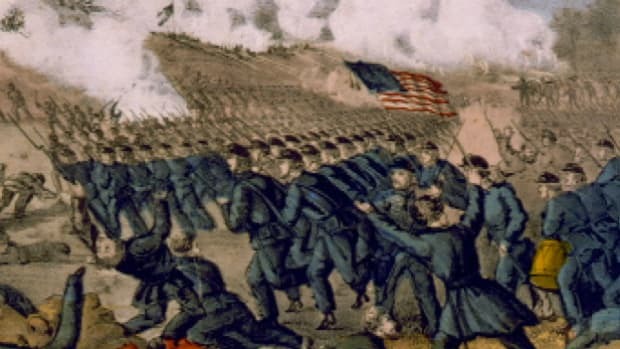 Shortly after, Van Dorn combined his force with that of Sterling Price to form a 22,000-man army that turned toward Corinth to launch anotherattack against Rosecrans, who had consolidated his forces there. Did you know? 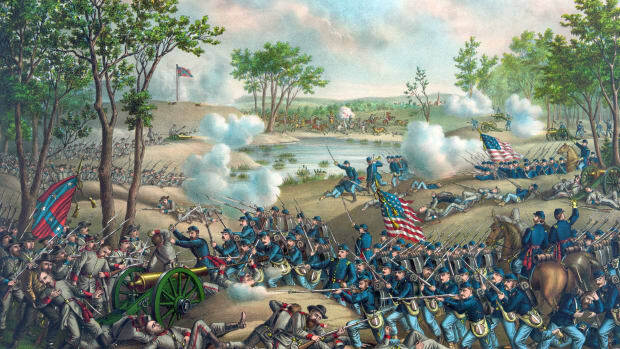 Just six months before the Battle of Corinth, Union and Confederate forces had faced off on the same ground. Despite being under siege in the city, Confederate Gen. P.G.T. Beauregard was able to secretly evacuate his troops under cover of darkness, completely surprising Union Gen. Henry Halleck. Van Dorn hurled his army at the outer defenses of Corinth on the morning of October 3. Over the course of the spring and summer, both Union and Confederate occupiers of Corinth had constructed concentric rings of trenches around the city. The Confederates were initially successful at capturing the outer defenses, driving the 23,000 defenders back nearly two miles. 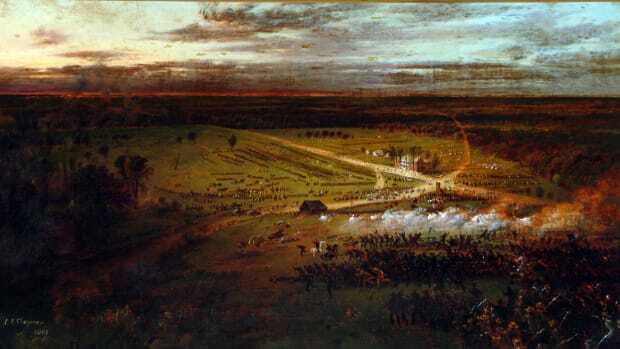 The battle lasted all day, and only nightfall brought relief to the battered Yankees. 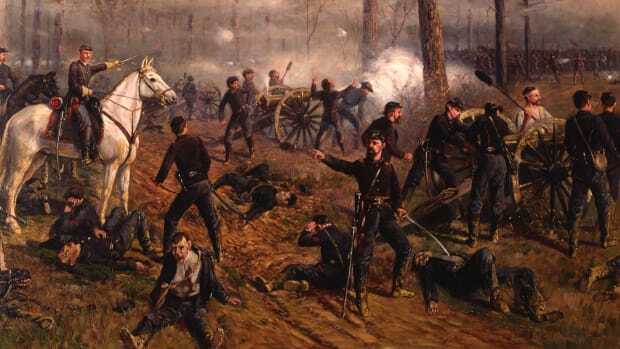 The next day, the Confederates made a series of desperate assaults on the inner trenches. 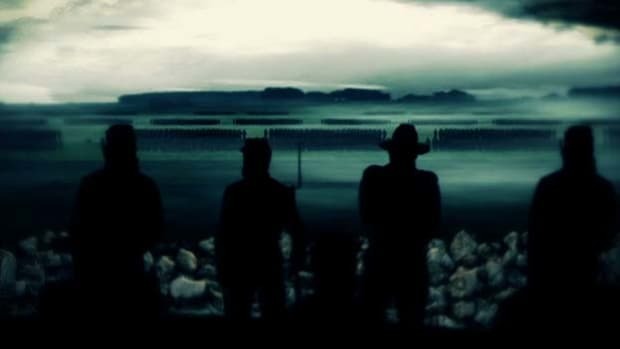 They suffered heavy losses and began to withdraw from Corinth by early afternoon. The Confederate defeat was devastating. 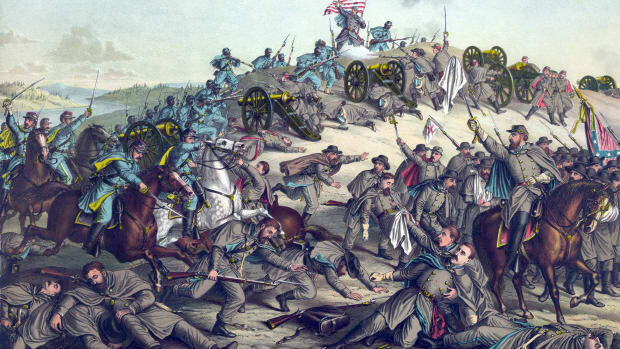 The Union losses included more than 2,300 dead, wounded or captured, while the Confederates suffered more than 4,200 casualties. 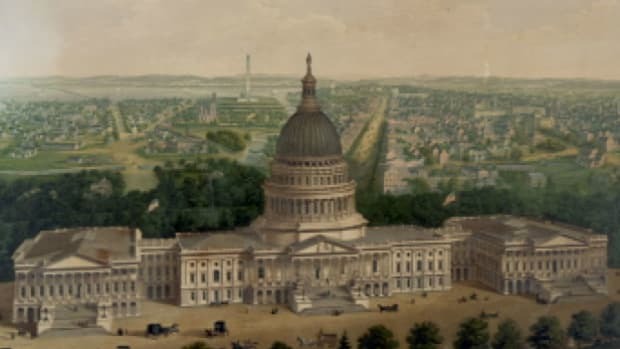 The Confederate defeat at Corinth allowed the Union to focus attention on capturing Vicksburg, Mississippi, the last major Rebel stronghold on the Mississippi River.